A tiny organ in our abdomen that serves no purpose but causes excruciating pain when it is on the verge of bursting. Yes, we are talking about the appendix. This article will discuss in detail about what appendicitis is, what the causes and symptoms are, and how you can get relief from pain post surgery. Read on! Otherwise inconsequential, the appendix is a vestigial organ of the human body that can cause complications when it gets inflamed. This organ did possess some function. It housed bacteria that helped humans digest cellulose in their diet. But, as humans evolved, the need for it became unnecessary as we evolved from herbivores to omnivores. Irrespective of this, this tiny organ can get inflamed and cause a lot of discomfort. Let us first look at what appendicitis is and its causes and symptoms. What Is Appendicitis? What Causes Appendicitis? The appendix is a small pouch attached to the large intestine and is present on the right side of your abdomen. When this organ gets inflamed, the condition is termed as appendicitis. The symptoms for this are given below. Appendectomy is performed to remove the appendix, which does away with the problem of pain and vomiting. The home remedies mentioned below will help relieve abdominal pain and aid in healing after the surgery. Fold the flannel cloth and pour the castor oil on it. Place it on the affected area for a couple of minutes. Castor oil can also be ingested to relieve constipation and the appendix pain it is causing. Repeat the castor oil pack application twice a day. 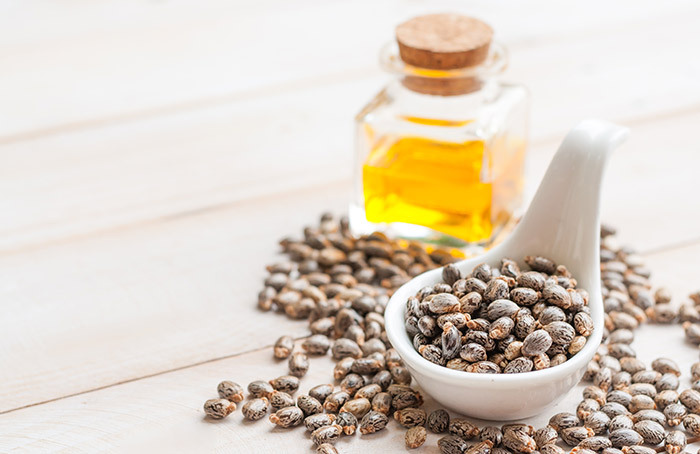 Castor oil contains ricinoleic acid that possesses anti-inflammatory and analgesic properties. The topical application of this oil will alleviate the pain (3). Add the vinegar to the water and sip on it. Start drinking this as soon as the pain starts. 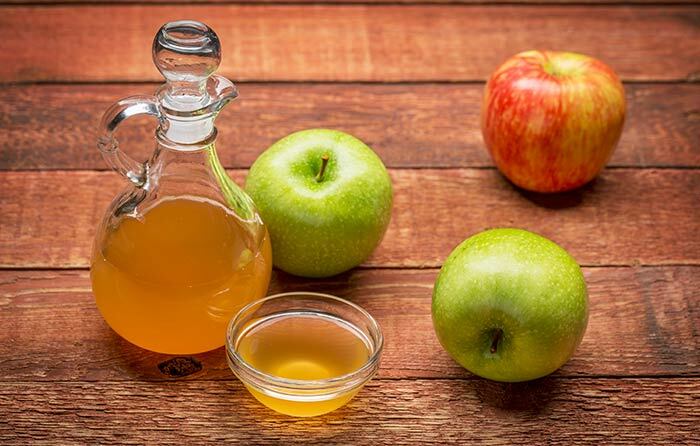 ACV is anti-inflammatory in nature and can tone down the pain you experience post-surgery (4). Chill the buttermilk in the refrigerator for a couple of minutes. Drink this over the course of the day. You can also make mocktails with buttermilk. Shake up a mocktail with buttermilk, grated cucumber, ginger, mint, and coriander for a refreshing drink. You can also make a light smoothie with buttermilk and a fruit of your choice. Do this when you experience pain. 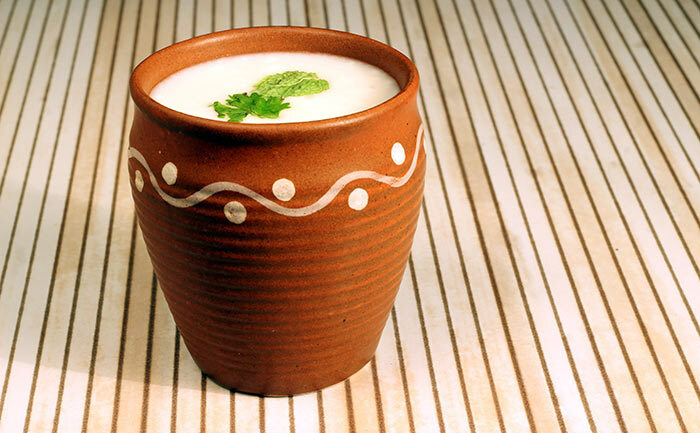 Drinking lots of fluids, like buttermilk, is beneficial for any appendicitis patient. It is light and can be had regularly in large amounts. It helps to stimulate digestion and provides a wonderful concoction of probiotics that can deal with any infection (5). Mix the baking soda powder in water and drink it immediately. Drink this when you experience pain. 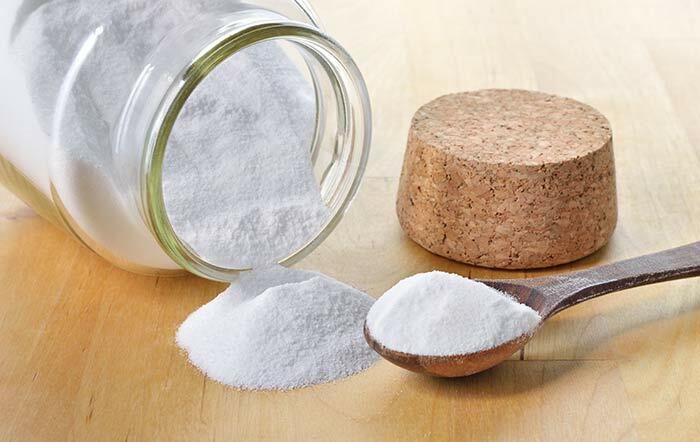 Sodium bicarbonate, commonly known as baking soda, soothes the digestive system and reduces the pain with its anti-inflammatory properties (6). Crush the cloves and ingest them with water. This can be had once the pain starts and also every morning on an empty stomach for overall better health. This herb possesses anti-inflammatory and antimicrobial properties. 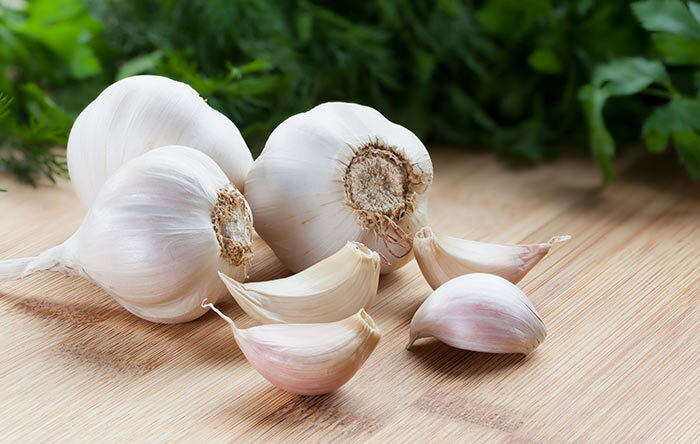 The anti-inflammatory compounds will reduce the pain, and the antimicrobial compounds will get rid of harmful bacteria, fungi, viruses, and parasites from the body (7). Steep the green tea bag for a couple of minutes in hot water. Remove the tea bag. Add honey to the decoction and mix well. Drink this herbal tea while it is warm. Have this to reduce the pain. 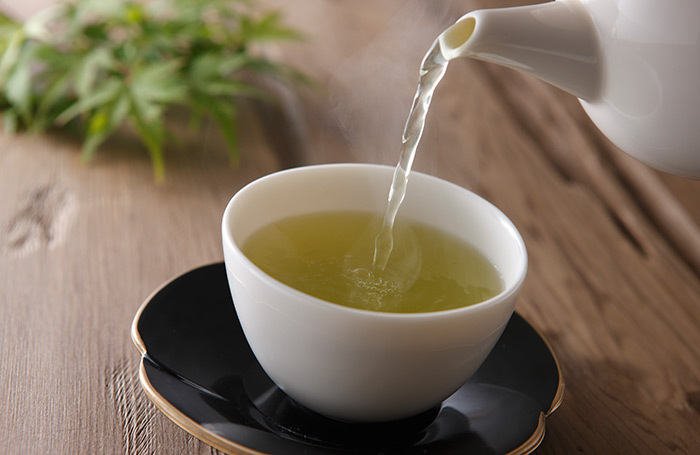 Green tea contains antioxidants and anti-inflammatory compounds that can alleviate the pain to a great extent (8). To make a brew, add the herb to the hot water and let it steep. When the tea cools down, drink it. You can also soak the herb in cold water and drink it. 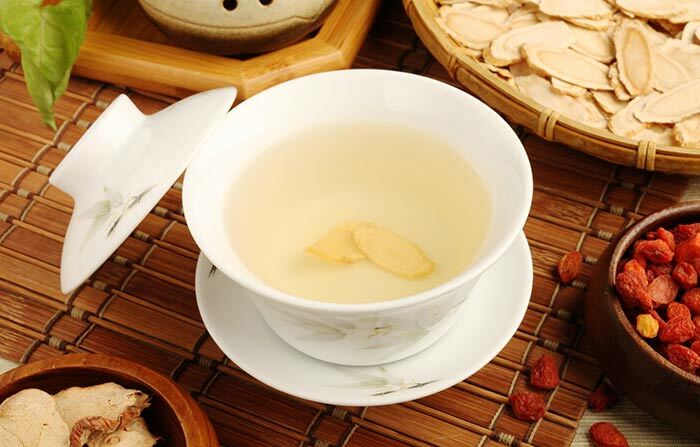 This Chinese herb is known for its variety of medicinal benefits. Its anti-inflammatory compounds, namely saponins, are beneficial for reducing inflammation and pain (9, 10). Rinse the green gram thoroughly and then soak in water overnight. Once they have absorbed the water and become plump (and are almost sprouting), you can eat them raw or steam them. You can also sauté them very lightly with some veggies and make a simple salad. Eat this whenever your abdomen hurts. 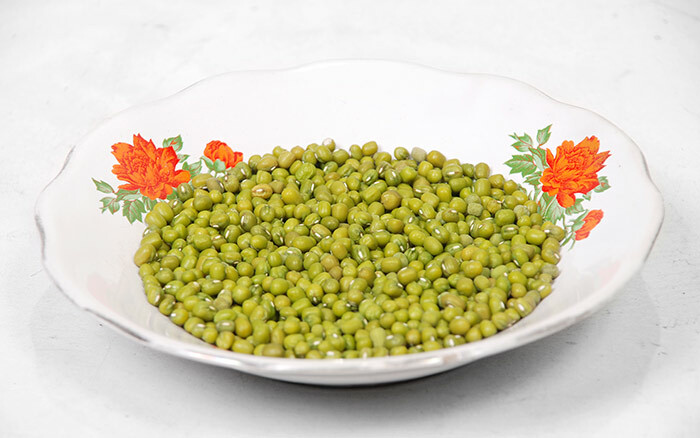 Green gram or mung beans can be bought from grocery stores. They make a healthy snack whether eaten by themselves or added to salads. They are highly nutritive and contain anti-inflammatory compounds (11). Sprouted beans can be stored for four to five days. Make sure the beans are drained well – stagnant water that may be trapped in the container where you store the beans can rot them. Our usual diet often lacks adequate amounts of essential nutrients, vitamins, and minerals that maintain healthy functioning of the body. In most cases, the problem can be averted by following a healthy, nutritive diet on a daily basis. When it comes to appendicitis, inflammation, infection, and digestive function are the key factors that need to be kept either under control or at optimum performance. Vitamins B, C, and E are the key vitamins that take part in these processes. 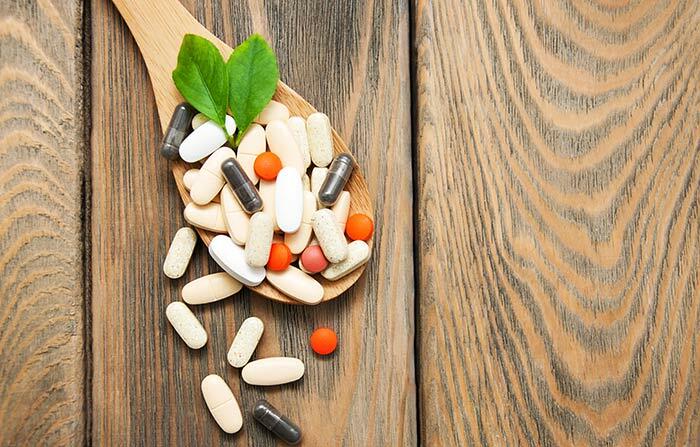 A multivitamin supplement or individual supplements for these are recommended, especially when a healthy diet is lacking in these. Mix the two ingredients and drink this. As the mixture has a really strong taste, if you want, you can mellow it down with warm water. It is best to drink this solution in the morning to relieve constipation. 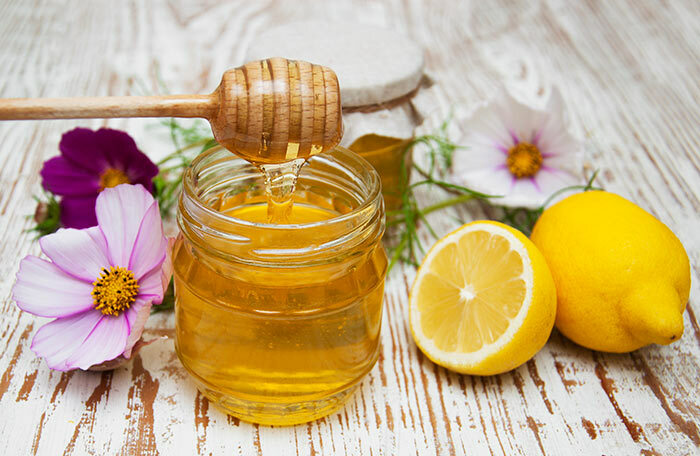 Honey and lemon are really good in mobilizing your bowels and relieving constipation, which eventually helps in mitigating the symptoms (12). Use organic honey because the other kind is loaded with artificial sweeteners. Soak the mint leaves in hot water for 5-10 minutes. Strain the herbal tea prepared and add a bit of honey to it. Have this when you experience symptoms like pain, nausea, vomiting, and difficulty in passing gas. 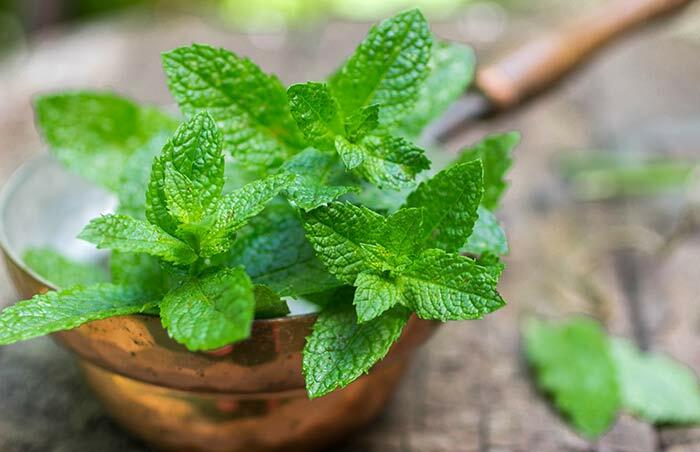 Mint is a cooling and soothing herb and is of great benefit to appendicitis patients. It regulates the digestive process and helps to relieve gas (13). Extract some fresh juice using the mentioned vegetables and fruits and drink it. Drink these when you experience pain. Drinking small amounts of vegetable or fruit juice can help combat the symptoms of appendicitis. These flush out all the toxins and waste from your body that have been accumulating due to constipation. Carrot juice is especially helpful in alleviating pain and fighting the infection (14). 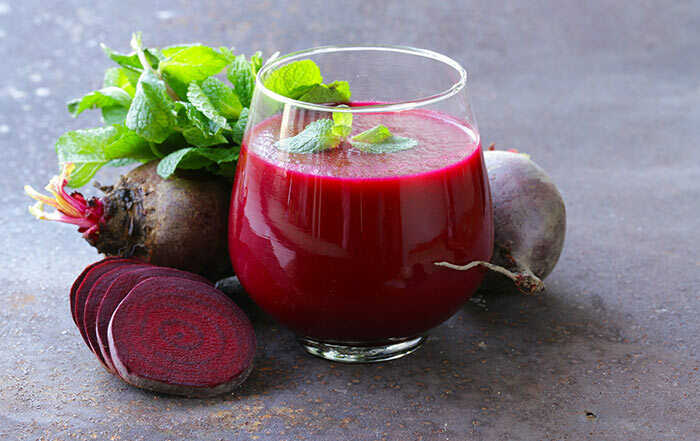 Beet and cucumber make a great cleanse combination and help in detox (15, 16). Cranberry juice is also a good option as it contains fiber that can aid digestion and bowel movements (17). Put the fenugreek seeds in water and bring it to a boil. Let it stay on low heat for 10-15 minutes. Strain and drink the resulting concoction. Drink this once per day. 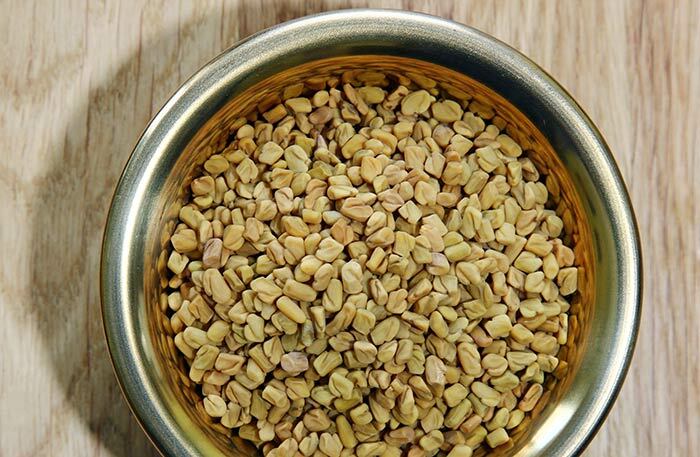 Fenugreek seeds exert a protective effect on the gastrointestinal system and anti-inflammatory effects on the operated area. They contain a wide range of antioxidants and antimicrobial compounds that further enhance the digestion process (18). Chop the ginger and add it to the honey. Add the turmeric powder to this and mix well. Have this when you experience nausea and pain. Ginger is one of the most versatile home remedies as it has medicinal properties that can be used to treat many disorders. If you feel nauseated, ginger is particularly helpful. It has a sharp, palate cleansing taste, which suppresses feelings of nausea and also relieves pain (19). 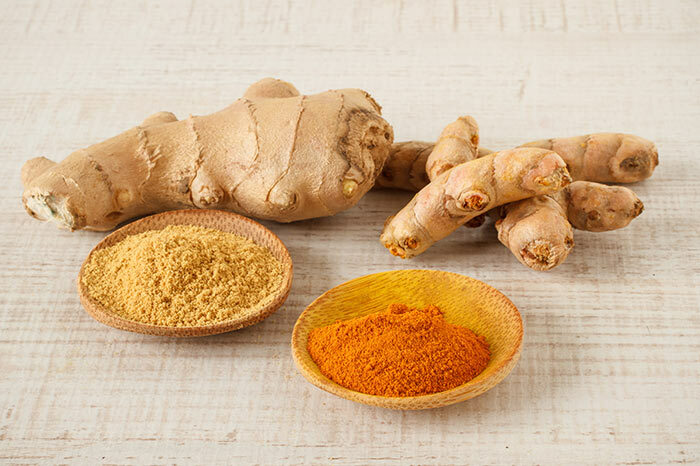 Turmeric helps in reversing all sorts of inflammation (20). Crush the basil leaves and add this along with the ingredients to the yogurt. Mix everything and have this. 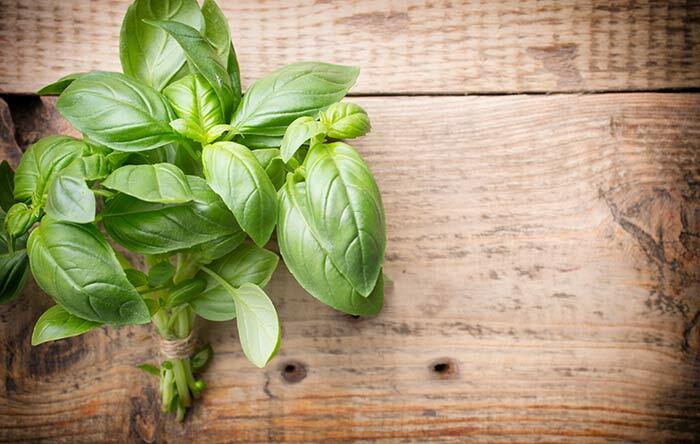 Basil is a versatile and beneficial herb as it relieves indigestion and constipation (21). Wheat is a popular carbohydrate. However, we tend to eat the pristine white, refined flour more than the slightly grainy whole wheat version. Refined flour is devoid of roughage, so eating too much of this kind leads to constipation. Whole wheat flour is a better alternative as it contains plenty of fiber to aid the swift movement of feces in the body (22). It is available in supermarkets and can be used to bake bread. 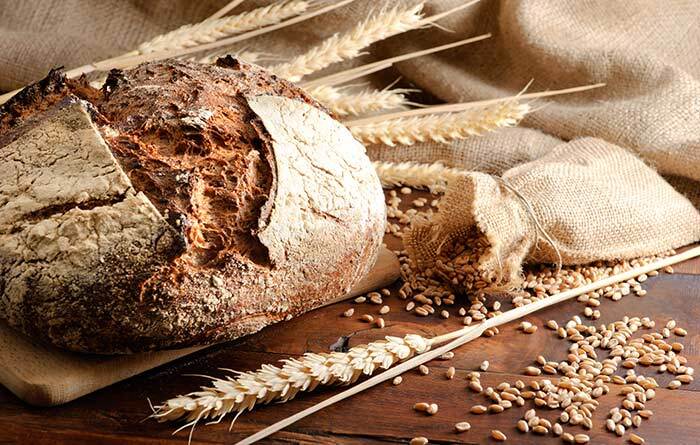 The sterilized bran obtained from wheat can be added to refined flour to make healthier, more roughage containing bread. Brown bread is made from whole wheat flour, so switch to it instead of white bread. 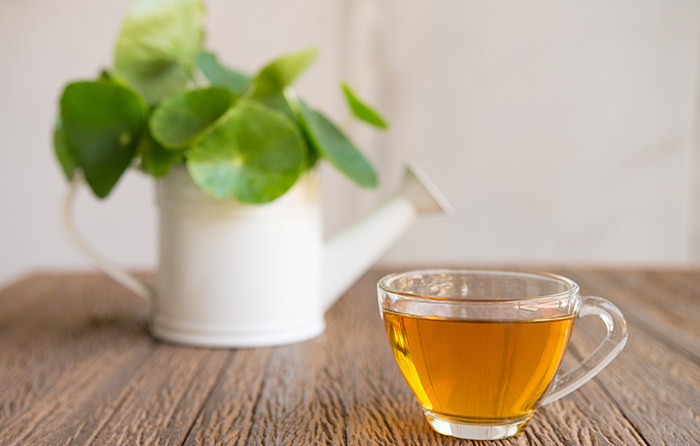 Brew fresh herbal tea by soaking the herb in hot water for a few minutes. Strain and sip on this tea. Have this twice or thrice a day. This Chinese herb, medicinally known as Centella asiatica, has tremendous healing potential. You can find the dried form of this herb in herbal shops or buy it online. It contains antioxidants and anti-inflammatory compounds that accelerate healing (23). Carefully open the capsule and empty the contents into the warm water. Add lemon according to your taste and mix well. Do this every morning and every evening until you get relief from the pain. This pretty wild green plant has antioxidant properties that help in reducing pain. It is also a mild laxative and can clear up your constipation (24). People with diabetes, kidney disorders, and gallbladder diseases should not consume this herb. Also, do not use this remedy if you are taking any blood pressure or blood thinning medications. Bring the water to a boil and add the dried herbs. Let it simmer for 10 minutes and then take it off the heat. Once the herb has steeped well and the concoction is cold, strain it and drink. Drink this fluid twice a day for best results. This astringent and bitter tonic herb does wonders to the digestive system and is an important ingredient of many cleansing diets (25). 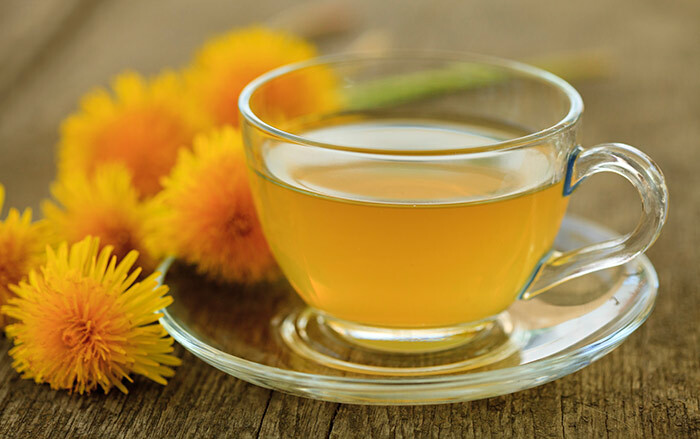 This remedy is not recommended for the diseases mentioned in the dandelion remedy. These home remedies listed above can provide temporary relief from the pain and aid faster healing. The best way to avoid getting appendicitis is to eat plenty of fiber and roughage that will prevent your intestines from getting clogged up. Here is the recommended diet to prevent appendicitis. (A) Acute Appendicitis – This is the most common type where the issue develops in a matter of a few hours to a few days. It is a rather sudden development that causes extreme pain. Infections can easily develop in this type of appendicitis. (b) Chronic Appendicitis – Constituting only 1.5% of the total appendicitis cases reported, this type of appendicitis can last for a longer period. The symptoms recur at intervals as the inflammation of the appendix organ goes back and forth. 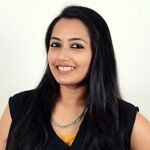 Comparatively, chronic appendicitis is more difficult to diagnose, but nonetheless, both the types have surgery as their leading treatment option (26). Given below are the risk factors associated with appendicitis. The best way to deal with appendicitis is to take preventive measures. We have listed these for you below. Follow a diet containing a healthy amount of fresh fruits and vegetables. It is important to supply enough fiber to the body so that the digestive process is smooth and does not lead to complications like appendicitis. Eat fiber-rich food like whole grains, split peas, lentils, black beans, lima beans, peas, artichokes, and okra. Drink 10-12 glasses of water every day. Apart from water, you can also have fresh fruit and vegetable juices. Probiotics such as yogurt, buttermilk, and kefir supply healthy bacteria to the gut and regulate digestion. Exercise regularly so that the body functions optimally in general. It also helps in fighting constipation. No matter what stage of appendicitis you think you are in, go to the doctor first. Appendicitis can become very serious and even fatal if it bursts. You must be sure about your condition before you take on any course of action, and this is only possible if a doctor does a thorough check-up. The pain caused by appendicitis can be excruciating. Get medical help immediately before it progresses to cause any complications like sepsis. Hope you found this article helpful. Do share your views with us in the comments section below. What does appendicitis feel like? Appendicitis starts off with a dull pain around and below the navel, which then moves towards the left side of the lower abdomen. This pain starts to build up, and then, the other symptoms like nausea and vomiting present themselves. How long does it take to recover after you have your appendix out? For laparoscopic surgery, it takes 1-3 weeks for recovery. For a normal open procedure, it takes 2-4 weeks. What side is the appendix? The appendix is present on the lower right-hand side of the abdomen. Appendicitis is not a genetic condition to be passed on from generation to generation. How do you know your appendix is about to burst? The pain, nausea, and vomiting get worse, and a fever develops. If not treated immediately, the appendix can also burst. Yes, it is a symptom associated with appendicitis. Can the pain from appendicitis come and go? Initially, the pain can come and go, but later, it becomes constant. If the pain is inconsistent over weeks, you could be suffering from chronic appendicitis. Consult a doctor immediately in such a case. Can you eat after appendix surgery? If the recovery is normal, you can go back to a healthy diet after the surgery. You can start off with easily digestible food and then follow the diet recommendations we have listed out above. What not to do after the appendix surgery? Do not exert your body during the recovery period after your appendix surgery. Follow the instructions given by the doctor and follow a healthy, easily digestible diet. Do not have alcohol, coffee, tea, and spicy, unhealthy food after the surgery. Can a baby have appendicitis? Anybody can get appendicitis. There is no specific age group that is afflicted with it. An abdominal X-ray, ultrasound, and/or CT scan are used by doctors to confirm appendicitis. What are the treatment options for appendicitis? Depending on the stage of the appendicitis, the doctor will prescribe the best course of treatment. Sometimes, just antibiotics suffice, but in most cases, a surgery is required to remove the inflamed appendix. What about appendicitis in pregnancy? One in every 1500 women suffers from appendicitis during pregnancy. It has to be treated at the earliest to avoid any threats to the mother and the baby. The pain caused by appendicitis can be excruciating. Get medical help immediately before it progresses to cause any complications like sepsis. Mild symptoms in the initial stages can be taken care of with the natural remedies given in this article.